Ridiculously big open world game No Man’s Sky has been delayed until later this summer. The North America release date is scheduled for August 9, Europe will be August 10, and in the UK a few days later on August 12. The reason given for the delay is that certain parts of the game need more polish. Sean Murray from Hello Games said in regards to the game’s development. “Despite all of that, development is genuinely going well. This is the hardest working, most talented team I’ve ever worked with, and I’m so proud of what we’re doing. For all our sakes though, we get one shot to make this game and we can’t mess it up”. It’s not much but, here’s a trailer to take another look at the game. 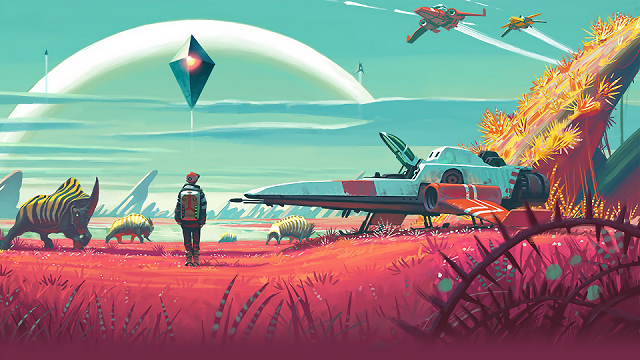 No Man’s Sky will be released on the PlayStation 4 and PC.